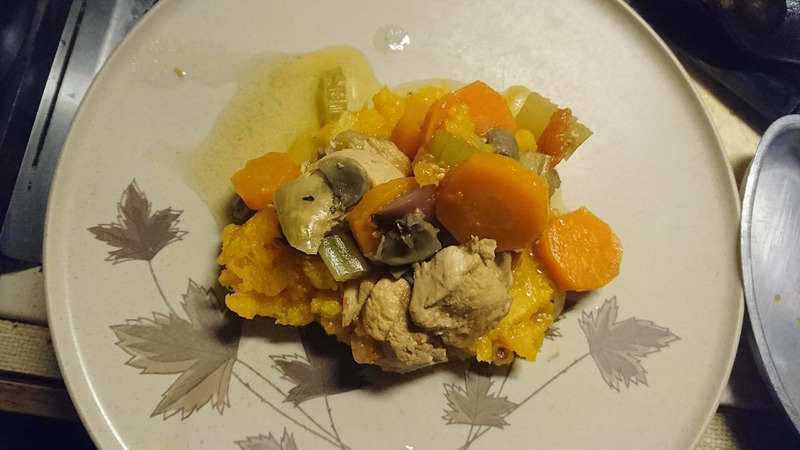 This Campervan Cooking page is where we will be keeping notes on the recipes which work well in our van kitchen and also highlighting the food we’ve enjoyed while travelling. When inspiration fails, there are no restaurants nearby and no Deliveroo to call, here’s where we will turn for a reminder of failsafe meal ideas. 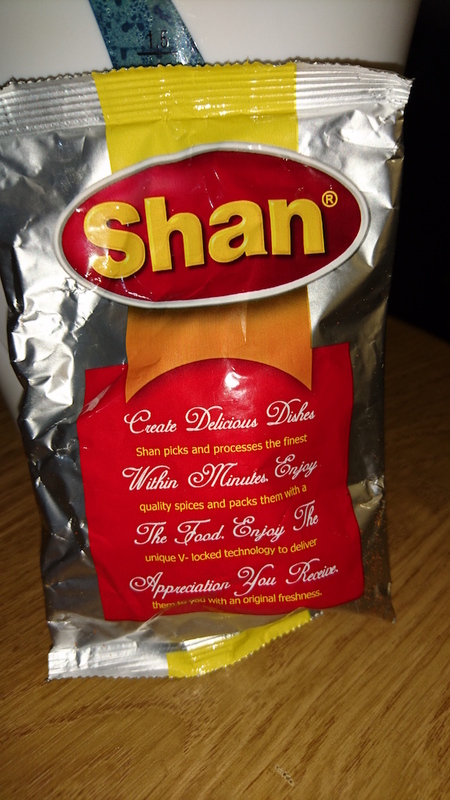 Details of the van kitchen equipment are at the bottom of the page. We are on a campsite on the south coast of Iceland and you can just about see the glacier through the damp mist. It’s early September but feels like a November night. A comforting stew is in order. There’s no electricity on the campsite for camper vans so this is one for the frying pan on the hob. (Clearly the photo is not a real reflection of the portion size). After nearly a year on the road, this recipe wins the Molly award for trusty, speedy stand-by dinner. 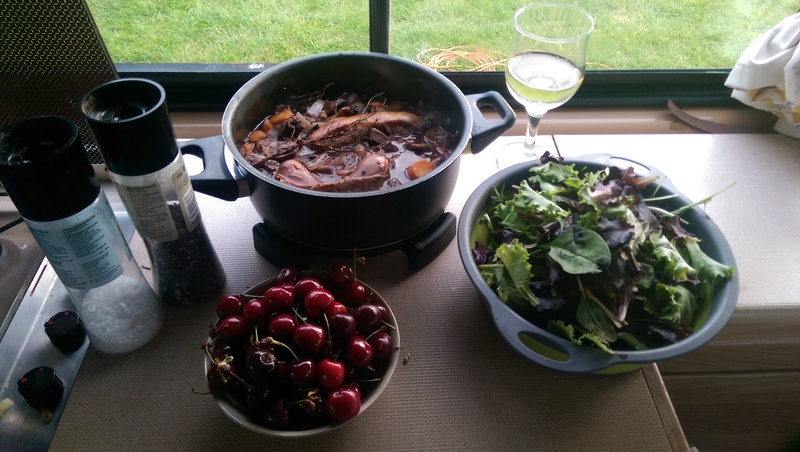 It’s what you cook when you get back to the van after a day’s hiking/tramping Centro Historicos because you know dinner will be on the table within 20 minutes and no matter how low the store cupboard stocks are, you will always have the ingredients you need to make it. Dollop slug of olive oil in pan. Soften sliced garlic and onion. Crumble over dried chilli. Add handful of olives (halved) plus 3 or 4 anchovies – no more. I speak from experience pre-trip. If you chuck in the whole little jar (as is quite tempting) the entire pot of sauce will be rendered inedible. 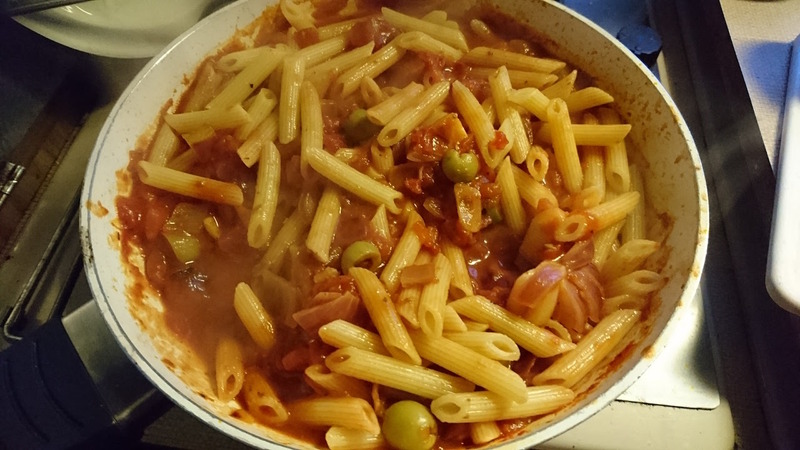 Add carton of passata or tin of tomatoes and simmer sauce until the pasta is ready. 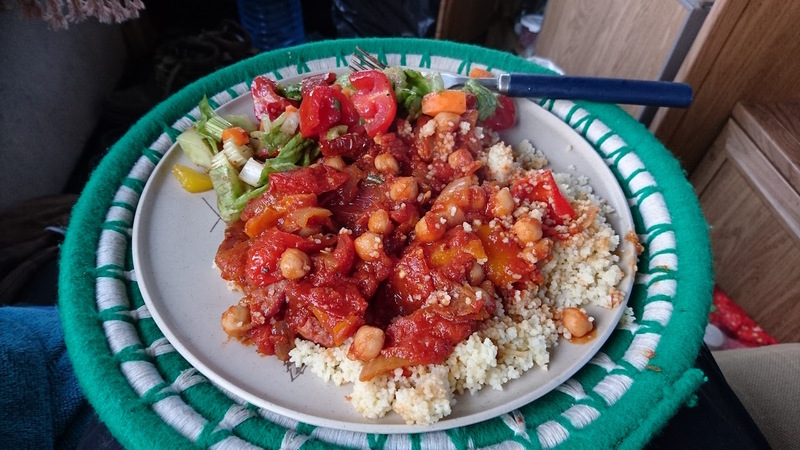 A quick way to use up dried and smoked sausage meat …chop up into slices and add to sauce made by softening onion and garlic with red peppers, passata and chick peas. Serve with cous cous. The van fridge is usually always well stocked with packets of smoked salmon which are handy for quick lunch salads and snacks. To use them for an evening meal, dry fry the slices in a pan and add, flaked up, to cous cous (leftovers from the previous night’s chick pea dinner) and chopped up lettuce, celery, onion, carrots, peppers, tomatoes drizzled with olive oil, balsamic vinegar, chilli flakes, mustard and lemon or lime juice. 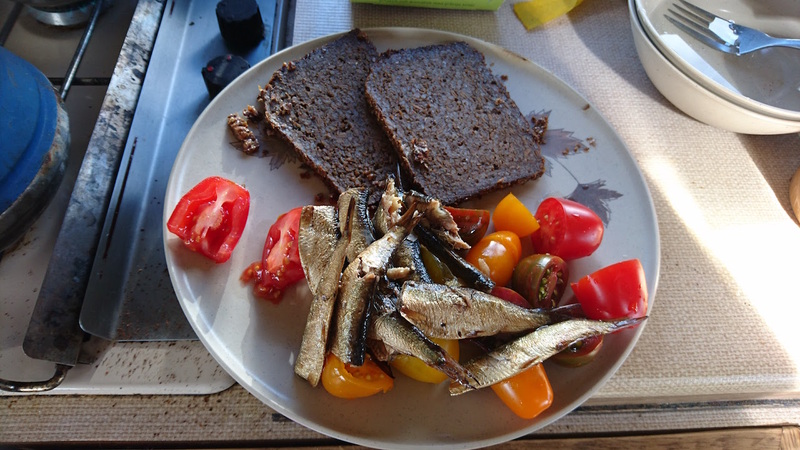 When you’ve made the easy mistake of believing that a year’s travel is like one big holiday (which it is) and that means you can eat and drink like every day is fiesta time (not a great plan), then sometimes you need to rein it in….here’s a carb free-ish lunch which helps quell the hunger pangs. 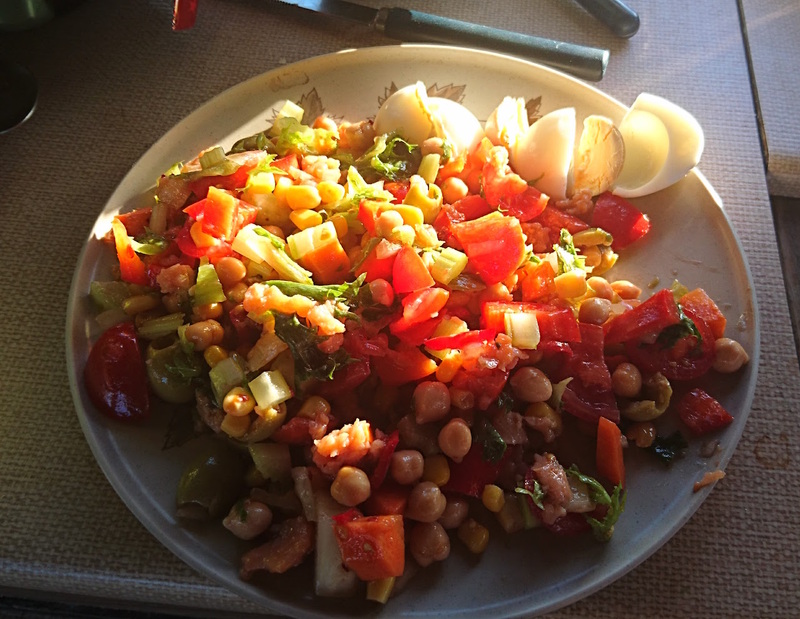 Chop up lettuce, celery, onion, carrot, tomatoes, red peppers…throw in chick peas, slivers of smoked salmon. 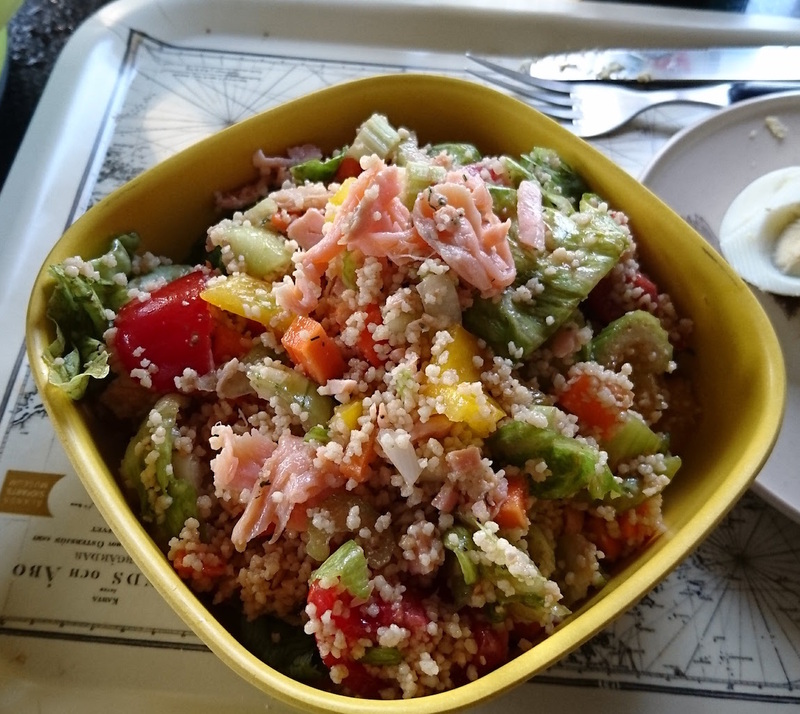 Make a dressing of olive oil, balsamic vinegar, dollop mustard, some chilli flakes, squeeze lemon, salt, pepper…shake it up and toss through salad. Serve with hard boiled eggs. 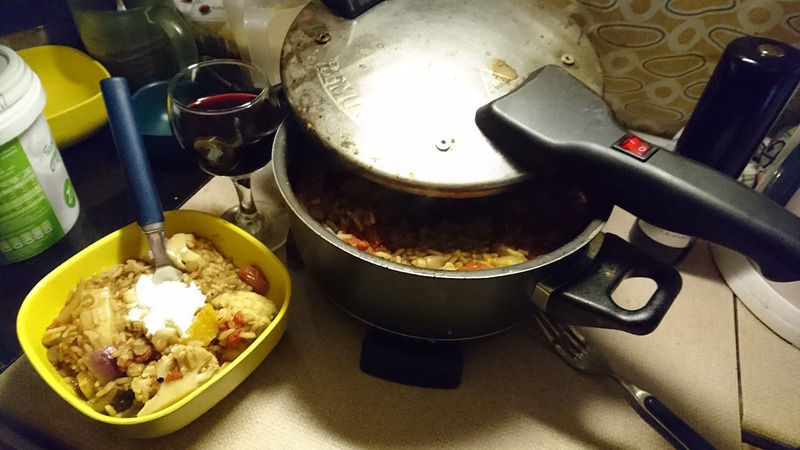 The two-day dinner is really useful for those days when you are doing a lot of miles back to back. 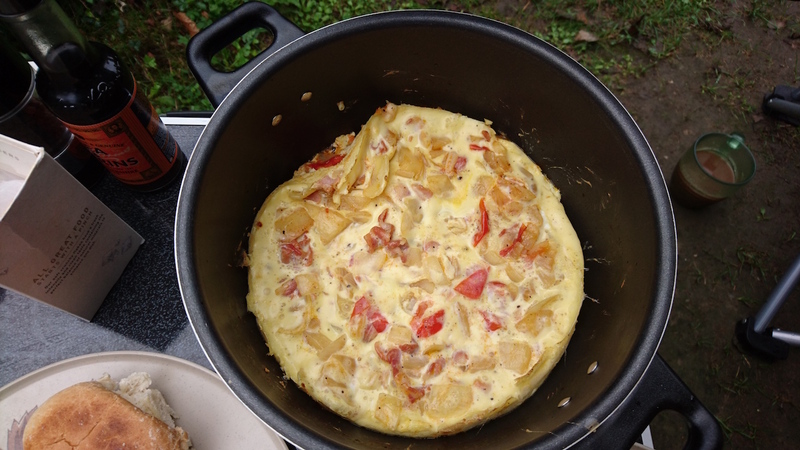 Cook a double batch on arriving at the site on day one and on day two, when you arrive at campsite no 2 late in the evening, dinner just needs to be heated up. 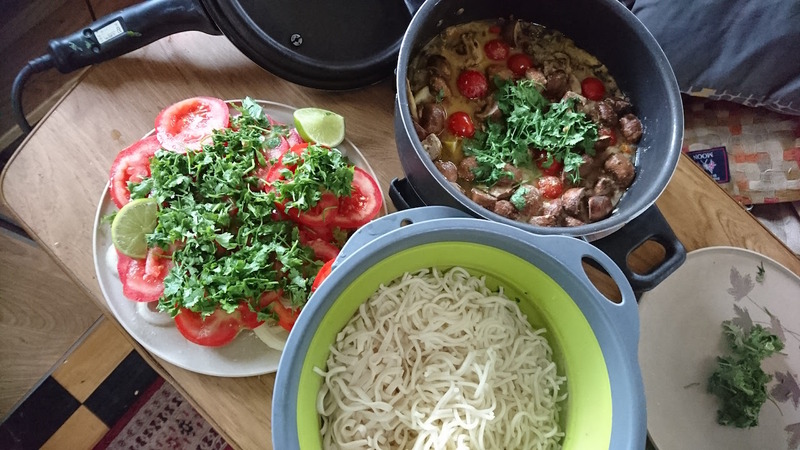 ….the main curry is a mix of diluted down creamed coconut, green curry paste, a splash of fish sauce, lemon grass and any thai spices you can lay your hands on as the main sauce round onions, tomatoes and potato chunks served with chopped coriander. Serve with noodles plus a salad of tomatoes, onion slices, coriander, chopped chilli and drizzled with fresh lime juice. 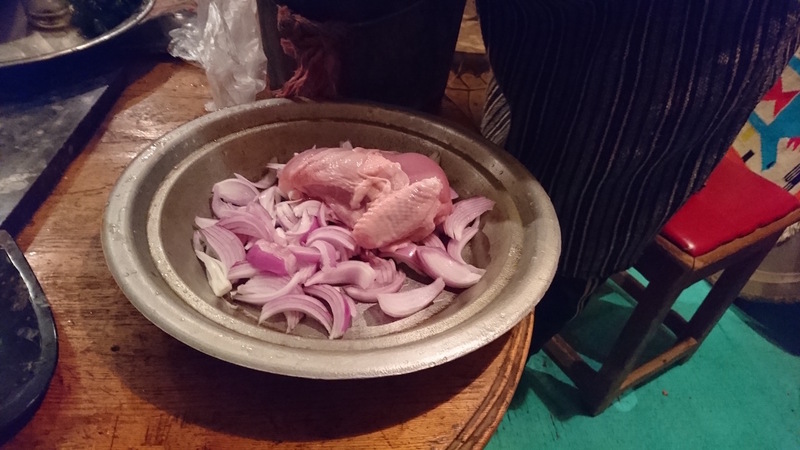 Cooking fish in the Remoska.…. …is very easy and quick. 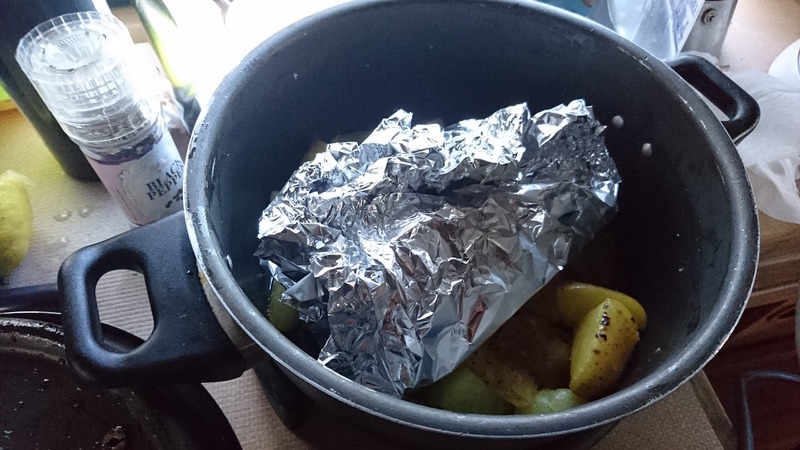 This is a tinfoil parcel of two fresh salmon fillets plonked on top of par boiled potatoes. In 20 minutes, they came out cooked perfectly. Shame the photo of it didn’t turn out so well. Onion, garlic, olive oil, handfuls of cherry tomatoes, 1 x yellow pepper, one potato, half a cauliflower, half aubergine, about four huge ladles of lentils already boiled and then simmered on the hob, a similar amount of uncooked long grain rice, dissolved stock cube, carton tomatoes, curry spices (as hot as you like), Greek yoghurt. 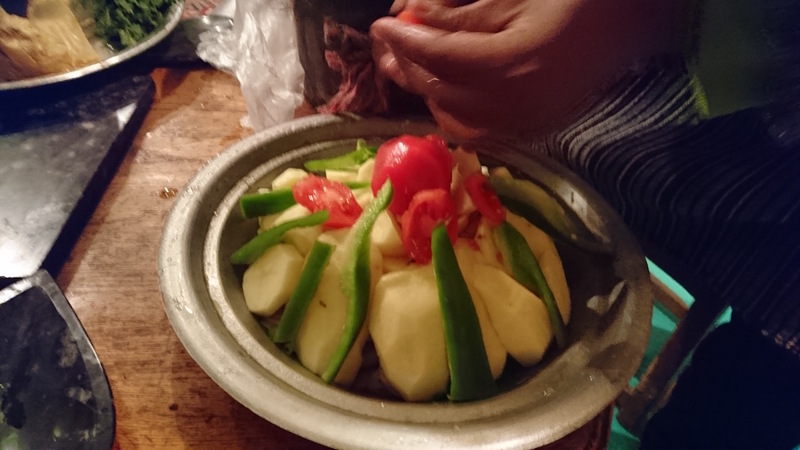 Soften the onion and garlic in the Remoska then pile everything in with sufficient boiling water so it doesn’t overflow and there’s enough liquid to ensure the rice, potato and cauliflower are cooked. Keep tasting to ensure it is sufficiently spicy. Eh, that’s it. Serve with dollop of yoghurt. 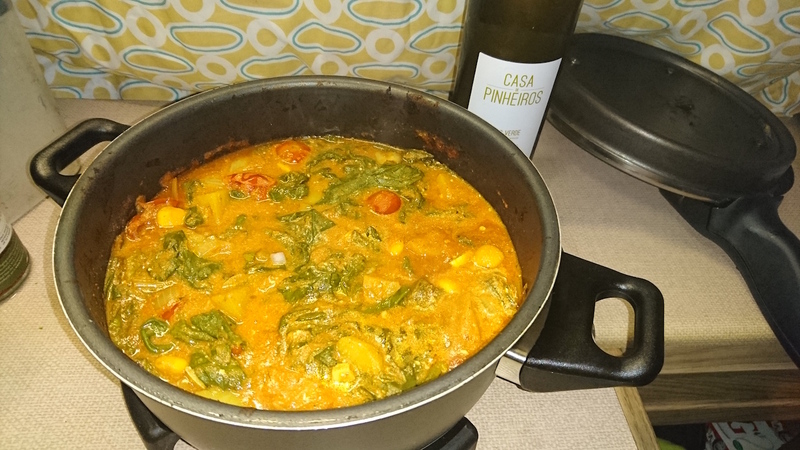 This proved a useful recipe for using up the small hedge-size bunch of spinach bought at Barcelos market. 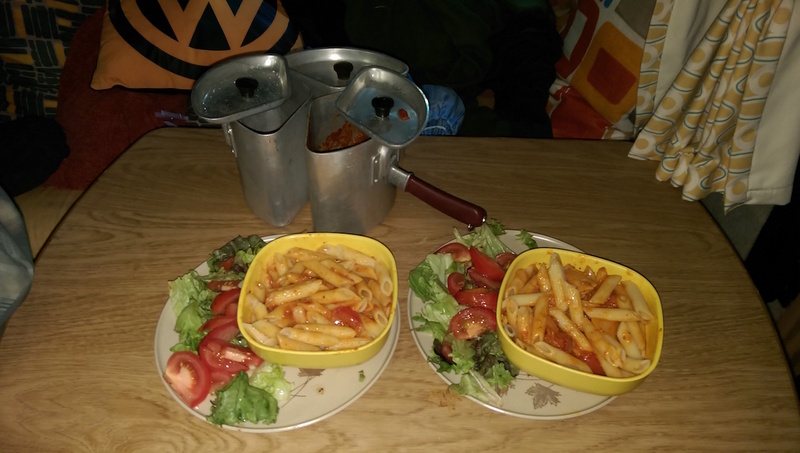 Swan Pots 1 and 2 – boil water for pasta for dinner and tomorrow’s lunch. Pot 3 – chop onion, soften in olive oil, add few dollops of Fiery Chilli pesto or whatever pasta jar you’ve got, add handful cherry tomatoes and some water to loosen up sauce. Serve pasta with sauce with side salad of leaves, tomatoes and french dressing. The cooking facilities in the van are very limited – just two rings and a grill, all powered by calor gas cylinders. We have also invested in what we learnt was a campervanner top choice – a Remoska. It’s a cooking utensil we had never heard of before entering van world though apparently it’s been a kitchen staple in the Czech Republic since the 1950’s. Basically it looks like a saucepan with a lid but the lid actually has an oven element in it. Of course, we can only use it when we are on a campsite with electric hook up. It looks like this. So far everything we’ve cooked in it looks a tad ‘stewey’. It remains to be seen if it can be anymore versatile. Swan three-part saucepan: Stuart bought this on eBay after seeing Campervan Culture use it. I was a bit sniffy about it at first because it looked a bit clunky and awkward. The Sunday before we set off, I put aside my prejudices and tried it for the roast dinner which is normally a feat of multi-tasking and mountains of washing up and was totally sold. It’s brilliant. Every home should have one. Mini blender – the van has limited storage space so it seemed like a luxury to bring an electric blender. It has just about justified its space in the cupboard by being useful to mush up leftover curry into curry soup and reduce chunky veg to a smooth sauce for pasta. Of course it is only useful when on a campsite with electric hook up so no good for wild camping. Then it just sits there taking up space. 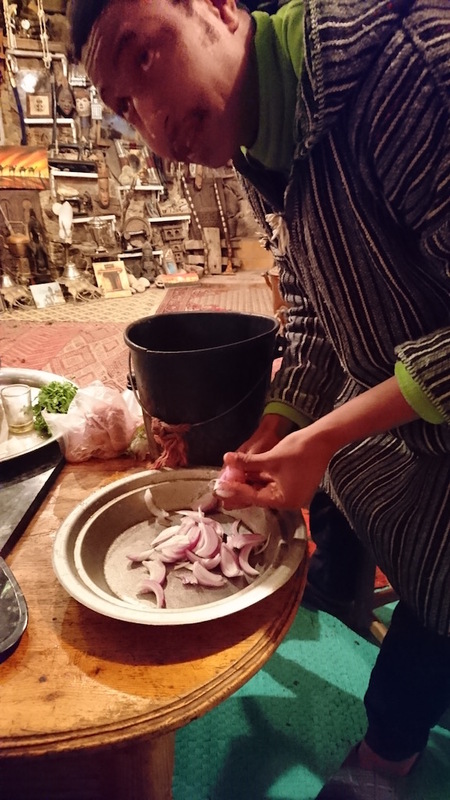 Staying at the Meski camping site, Mohammed showed us how to make tagine. 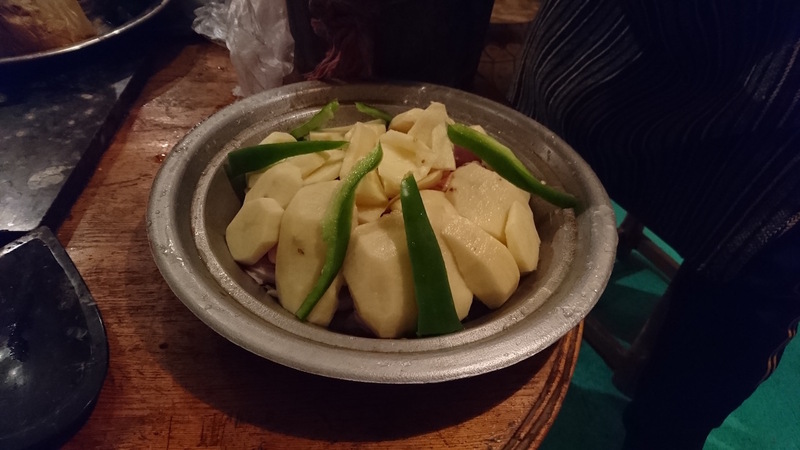 He used a metal tagine pot for speed – usually you see the clay one in use. Finally some chopped coriander and the key ingredient, the spice ras el hanout mixed with water. 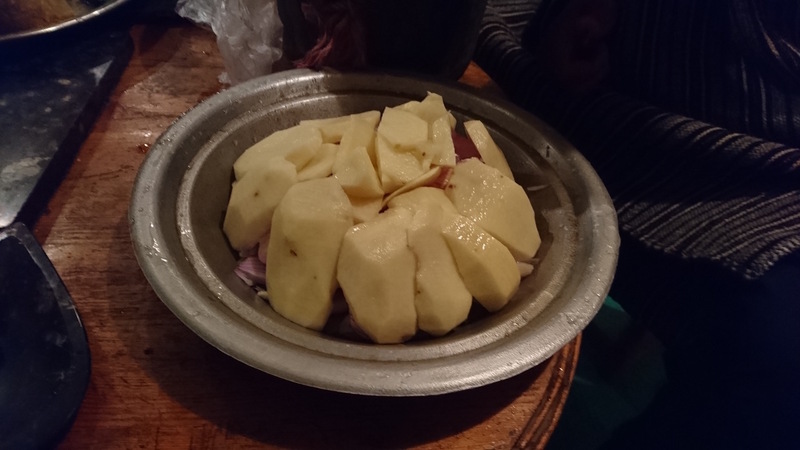 Plonk on the tagine lid, put on the hob and simmer for ages until the meat is cooked and the vegetables are soft. 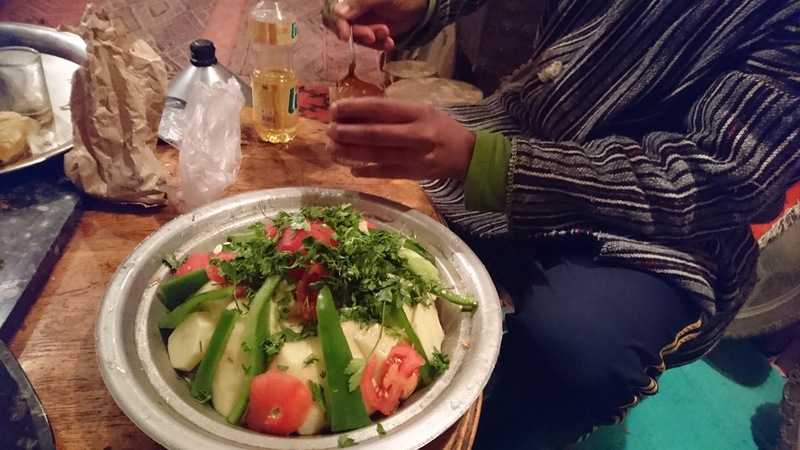 In the traditional Moroccan way, place the tagine dish in the centre of the table and let everyone help themselves from the platter using hunks of bread to gather up the meat, vegetables and delicious gloopy juices at the bottom of the pan. Copyright © 2019 Campervan Matters. Powered by WordPress and Rakiya.